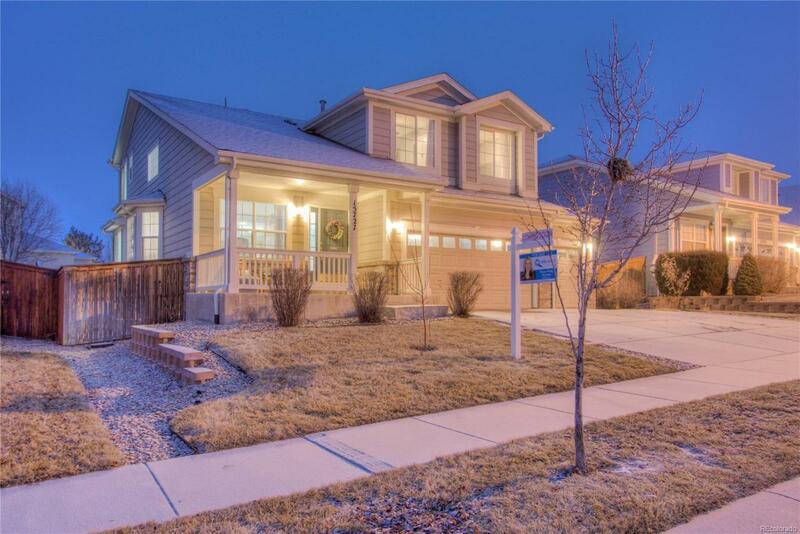 This fabulous home in Buffalo Mesa is located 15 min from DIA and 5 min from the Bison Ridge Rec. Center, and a 5 min walk from the community pool. This home is fully loaded with upgrades. From gorgeous quartz countertops in the kitchen and master bathroom, to brand new soft close cabinets in the kitchen and reverse osmosis water system. Wood plank porcelain tile floors on the main level, and herringbone tile in the master bathroom. It also has a beautiful natural stacked stone fireplace. The kitchen has all new appliances, and the water heater that is less than a year old. Other unique features include a childrens climbing wall in the basement, irrigation drip garden beds in the backyard, apple tree in front and back yard and an amazing mountain view from the front porch. Don't wait to see this home, it'll be gone fast! Association Name Primary Buffalo Run Mesa Homeowners Association Inc.